Once viewed as a drink for cowboys and moustached gentlemen, whiskey is now the people’s liquor: cool, accessible and found in drinks both neat and complicated. Whether you’re a brown-spirit newbie or a bonafide aficionado, L.A.’s whiskey scene has given way to top-notch programs across town (and no, not just in Silver Lake and Echo Park). 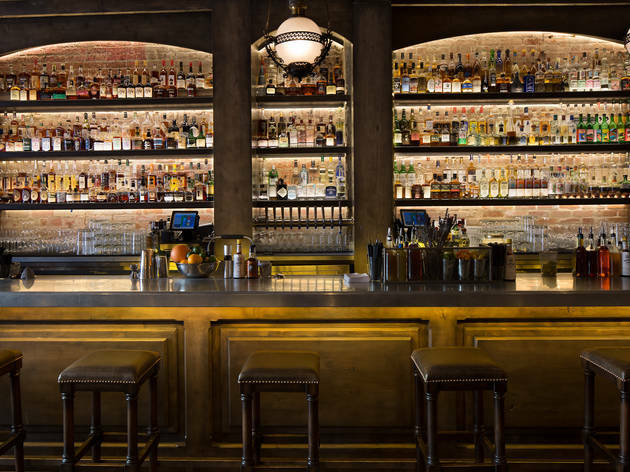 From hotel bars to dive bars, the city’s best selection of bourbon, scotch and whiskeys from around the globe can be found at these outstanding watering holes. 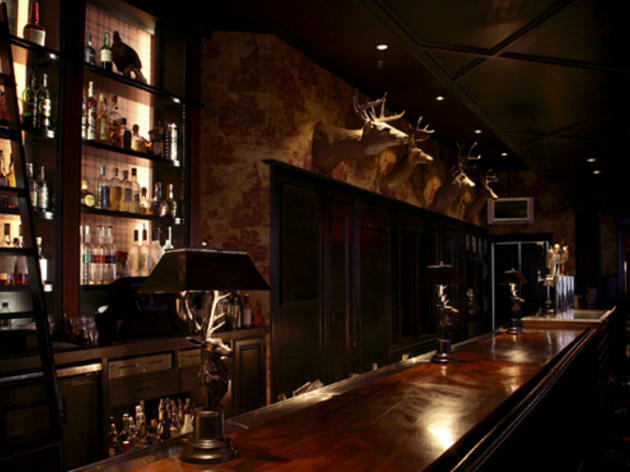 With taxidermy, plaid wallpaper, pool tables and an impressive, 700-plus collection of Scotch, bourbon, rye, single malt and whiskey—one of the largest selection on the West Coast—Downtown’s popular Seven Grand is a boozehound’s man cave. Take a trip to Japan, Scotland, Australia and even India with pours that will surprise even the most seasoned of whiskey enthusiasts. For those who want to geek out on the brown stuff, sign up for the Whiskey Society’s tastings, held weekly at 6:30pm. 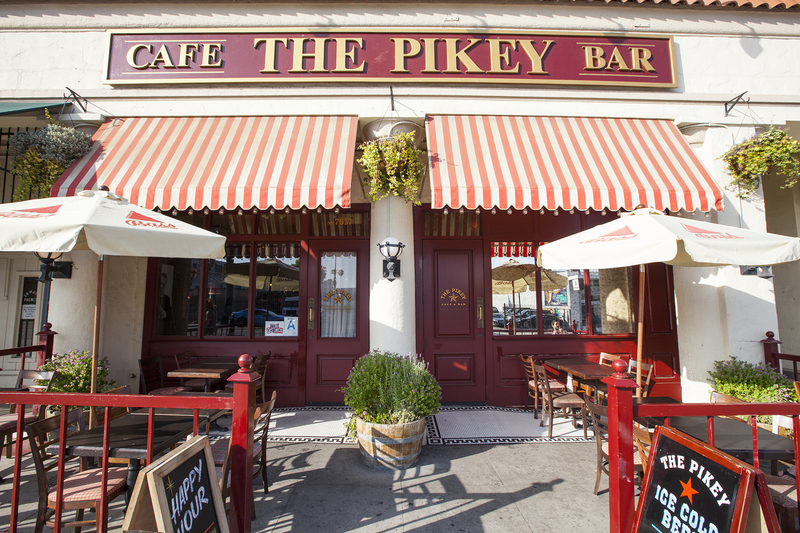 Occasionally led by the bar’s enthusiastic and knowledgeable “spirit guide,” Pedro Shanahan, the tastings offer intimate talks with distillers and sometimes never-before-seen bottles. 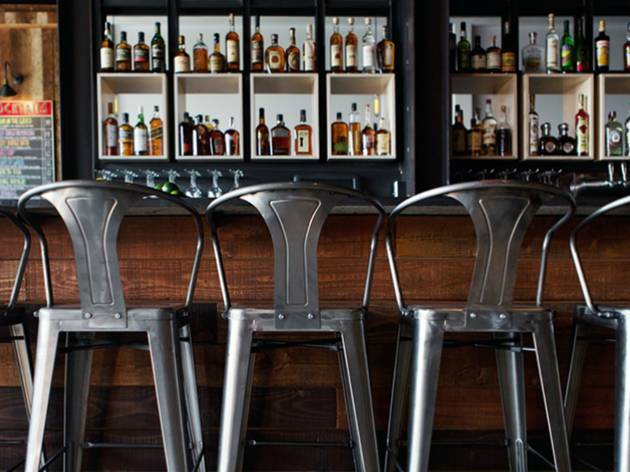 L.A.’s classiest whiskey bar is, unsurprisingly, also one of the toughest to get into. 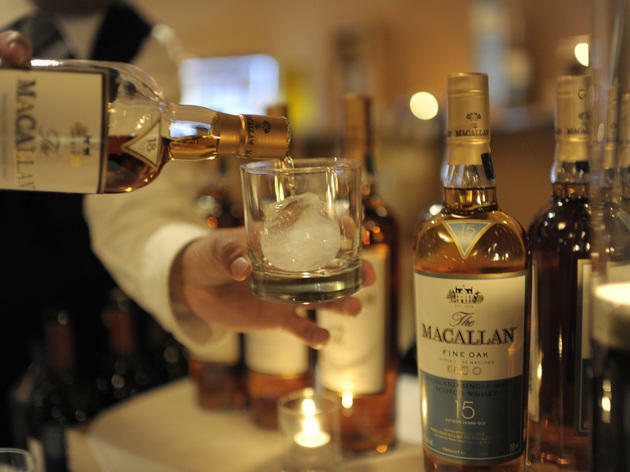 This reservation-only spot within the Montage Beverly Hills is dedicated to one thing: scotch, namely Macallan. Browse the list of sherry oak, fine oak, Highland Park and “old & rare” bottles aged anywhere from 15 to 64 years. Then, there’s the ice: Your barman rolls out a cart of chilling options, which can include Kold-Draft cubes, soapstone rocks, a water ball made from Highland Springs water and, finally, the ice sphere with the house £10 logo. With top-notch selects and service, you can also expect some of the best cocktails around. 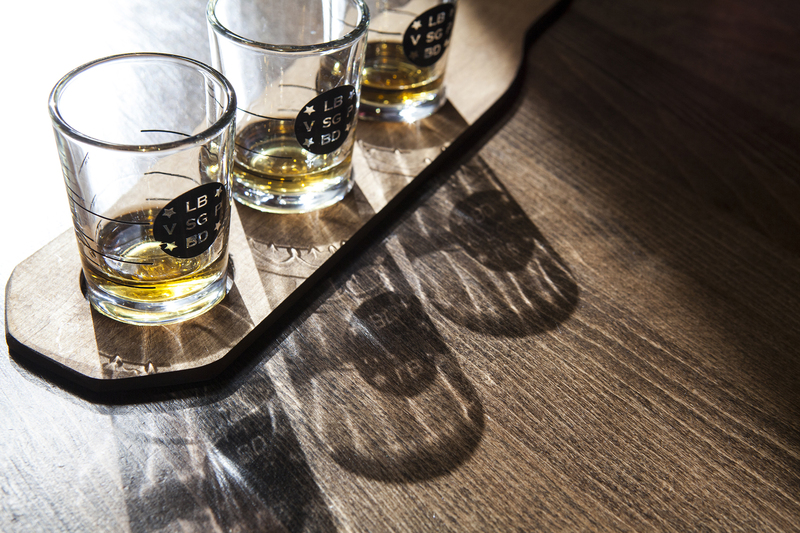 We swear by the tasting flights, allowing you to sample by how many decades a whiskey spent ageing. The price tag for this one-of-a-kind experience? 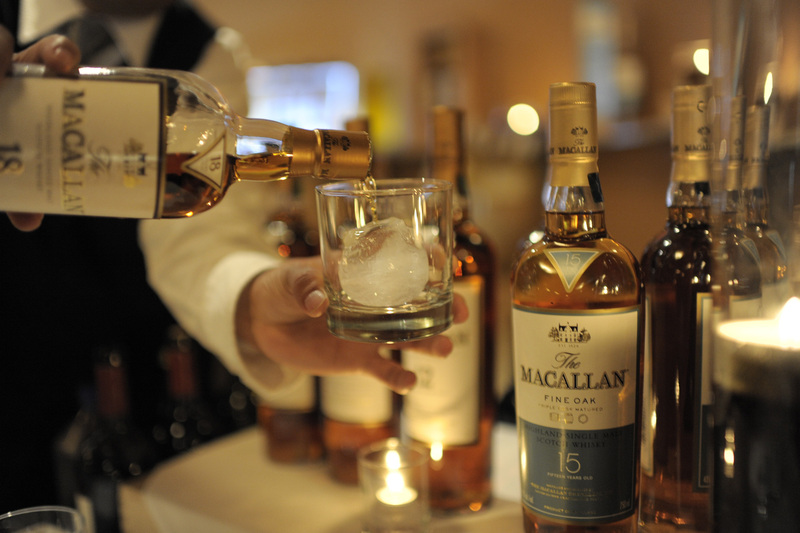 Expect to dish out $35 to $68 for cocktails and up to $5,000 for a single dram. The bar’s name pays homage to the bygone donkeys—blindfolded, so as not to get spooked—that churned old mills that crushed grains for making whiskey. 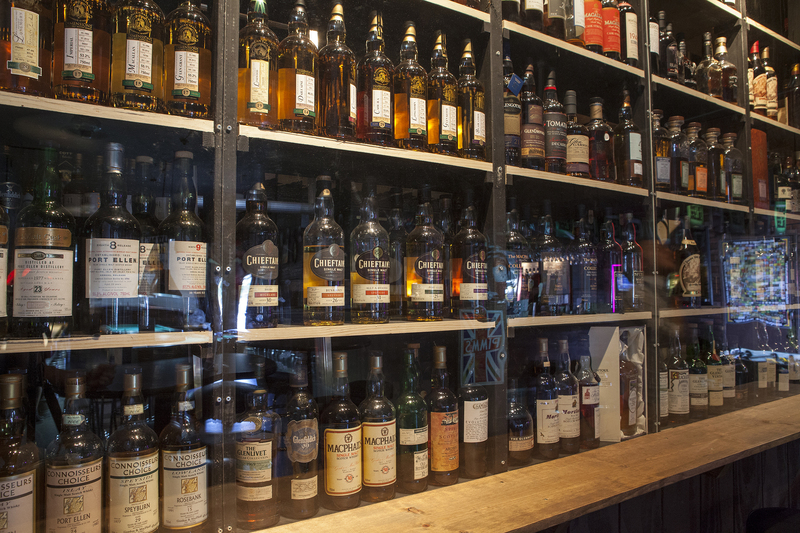 And that’s what you’ll find at the Blind Donkey: 100-plus whiskeys from America, Scotland, Ireland and Canada. 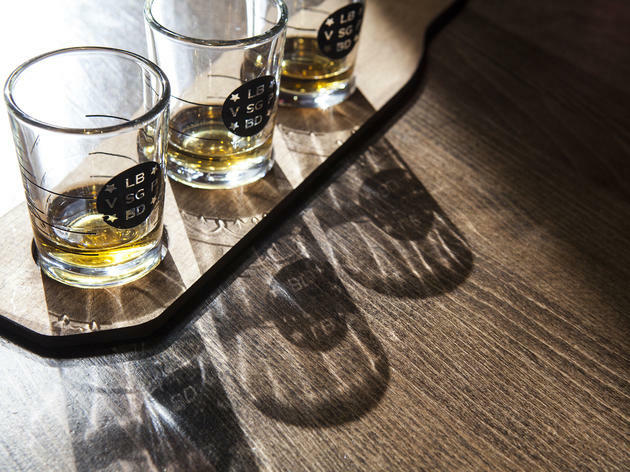 The Pasadena gastropub is a spot whiskey lovers and beer geeks flock, where whiskey flights cross the globe from the Bourbon Trail to Ireland. And what whiskey cocktail is better than an old-fashioned? Other concoctions playfully modernize the spirit, like in the case of the Tokiak, made with Suntory Toki, Peychaud’s bitters, lemon peel and a St. George absinthe rinse. 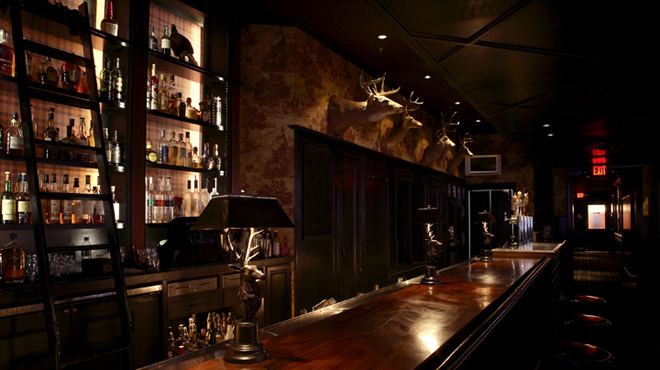 The entrance to this taxidermy-peppered saloon is tucked inside the converted back room of Seven Grand Downtown. Just press the call button and an unmarked door inches open just wide enough to allow an impeccably dressed host to signal patrons inside. 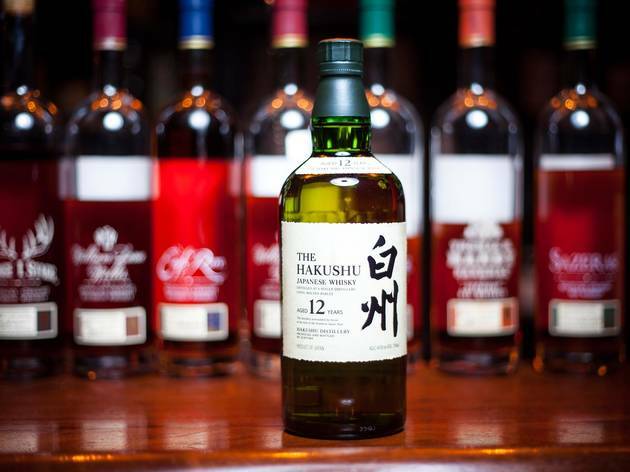 What awaits is a whiskey lover’s dream: a collection of more than 100 scotches, Japanese whiskeys, American ryes and bourbons—many extremely rare, like cult favorite Pappy Van Winkle 15-year—and cocktails stirred to perfection. A well-informed staff is eager to talk both connoisseur and novice through the carefully curated menu; the service alone is well worth the effort of securing a seat, and those who love their whiskey accompanied by cigars can imbibe on the bar’s private patio. The Bayou meets grandma's sitting room at this split-level bar outfitted with a bust of President Lincoln, scratchy mirrors, weeds creeping out of the ceiling above the wicker chairs, and patriarchal portraits on brick walls. 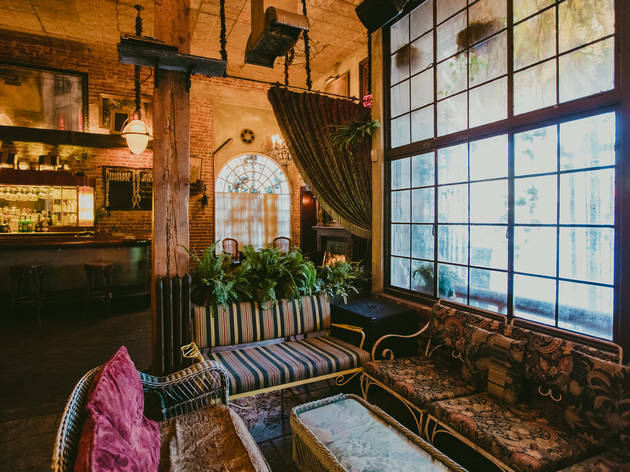 But in fact, the bar was literally transported from Savannah where the townhouse was dismantled, shipped and rebuilt to its original structure, from the moldings to the fireplace, in the middle of Hollywood. The focus here? Bourbon—this is the Old South, after all. 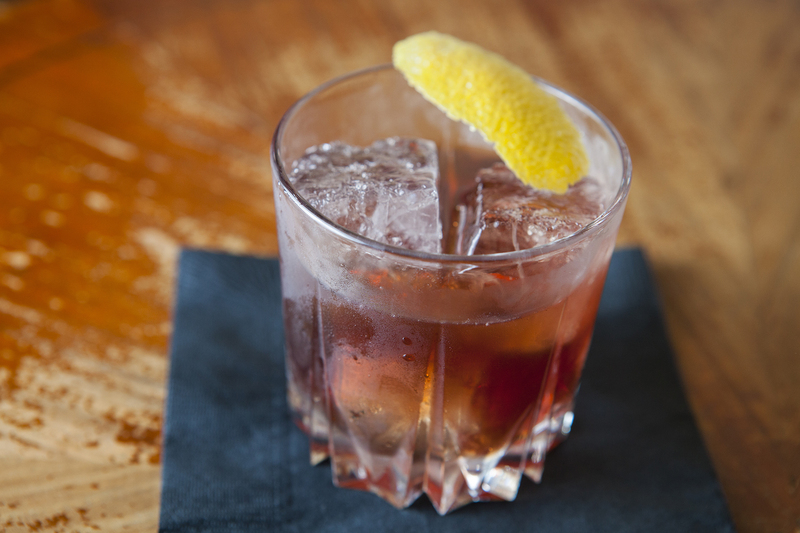 Try the brown spirit with house-made ginger beer, or mixed and aged in oak barrels in a Vieux Carre (made with rye, cognac, Benedictine bitters and a house vermouth blend). Or lighten up with a fruity and fun Melon Collie and the Infinite Sadness, a blend of bourbon, watermelon-and-rose sorbet and lemon. At first glance, this might look like your standard dive, but step inside and take a closer look—there is an impressive, ever-changing line up of craft brews on tap and by the bottle and hundreds of bottles of whiskey. 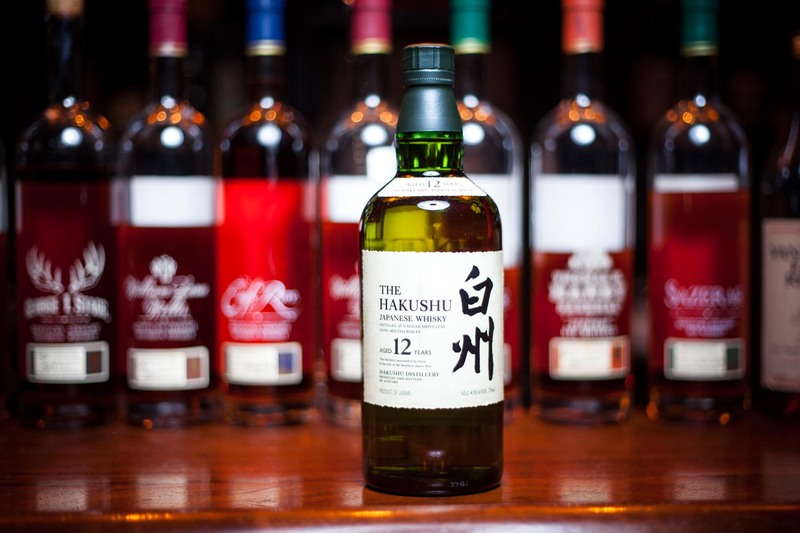 Browse the longstanding watering hole’s extensive selection of bourbon, scotch and whiskey from around the world—for those looking to shell out to get liquored up, ask the sassy-mouthed barkeep for a top-reach bottle. 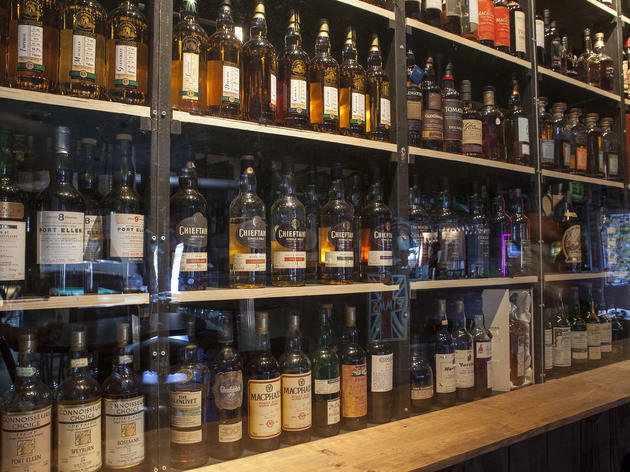 The floor-to-ceiling stocked vault holds bottles aged 65 years and beyond, and a particularly notable collection of single malt scotches. Ponder your next pour in between games of pool, shuffleboard and foosball. 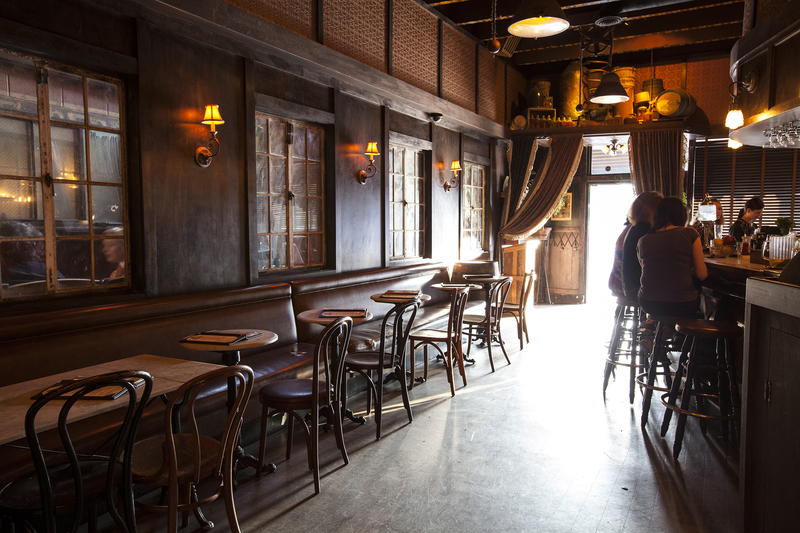 This is the Hollywood good old boys’ pub you’ve been waiting for. 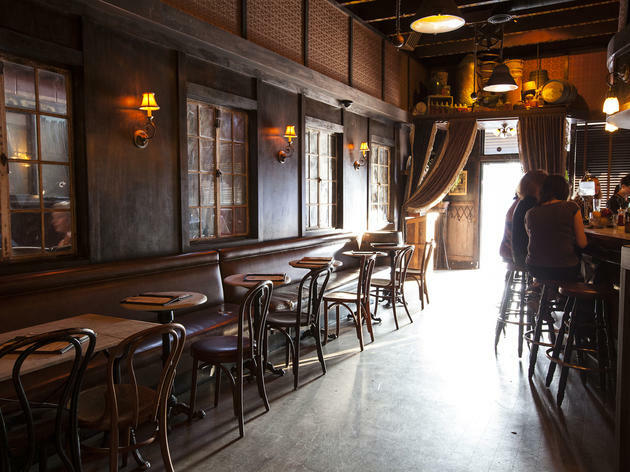 Owners Jared Meisler and Sean MacPherson (Roger Room, Bar Lubitsch) transformed the former dive into a three-room British gastropub where the Union Jack meets red leather booths. 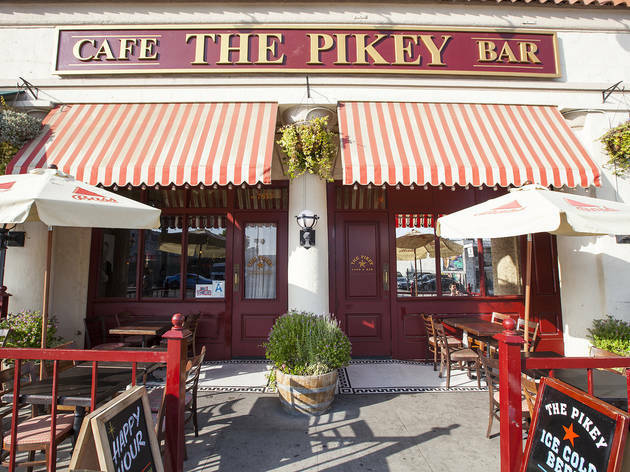 Tasty pub grub from chef Jaison Burke is on offer alongside a lengthy list of cocktails, brews, wines by the glass and spirits. 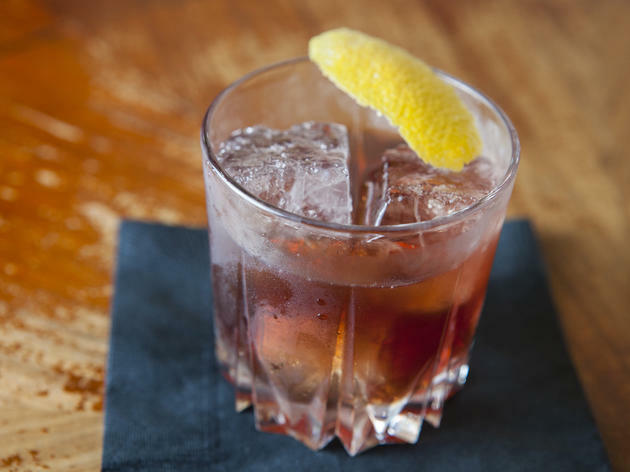 Bourbon, whiskey and Scotch pours are aplenty and reasonably priced with nothing that will set you back more than $45. If that’s still too steep for your pockets, drop in for the daily happy hour (4–7pm) when house cocktails, wines, well drinks and bar snacks are discounted. Do you have a special love for whiskey and mezcal? 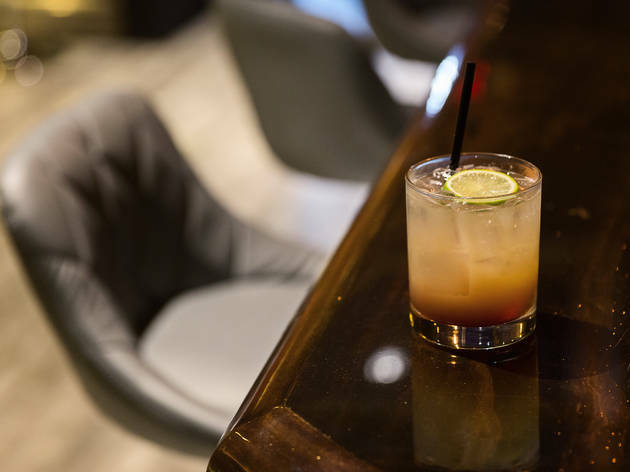 This casual Glendale cocktail den offers more than 60 mezcals and even more whiskeys. Whether it’s Espadin from Oaxaca or Yamazaki from Japan, there are stories behind each bottle, and the staff is more than happy to tell them. But Neat is no two-trick pony. 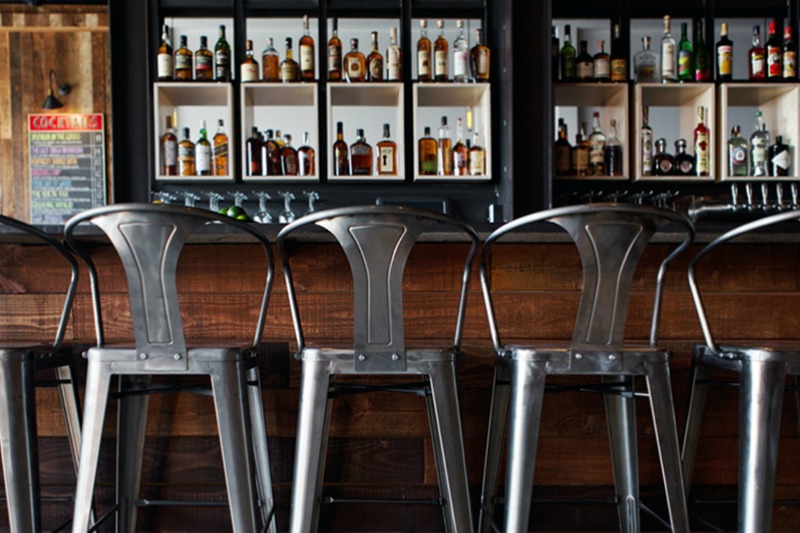 The bar carries every type of liquor imaginable, plus wine, craft beer and champagne. And the cocktail program is strong. The mixologists work with imagination and precision. 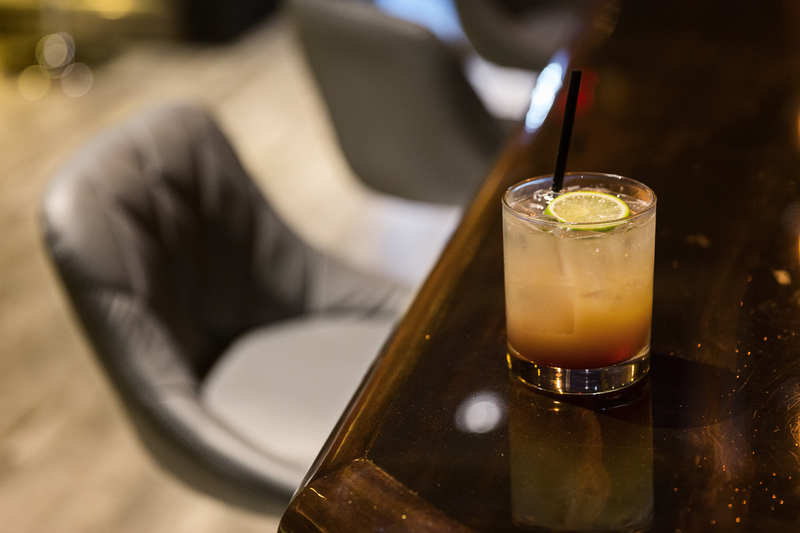 However, the Neat staff has a soft spot for brave souls who sit down and ask to be led on a journey through the pages-long menu to discover a new favorite spirit they’ll enjoy in its purest form. You gotta admit, the concept is pretty neat. 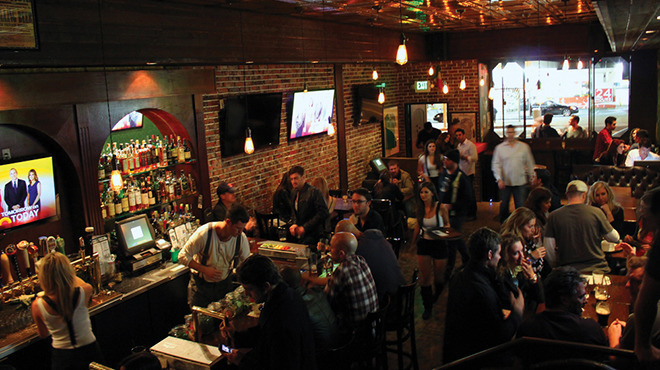 One of the city’s cocktail dominators—1933 Group—runs this Sunset Boulevard saloon, which whiskey lovers especially like to call home. 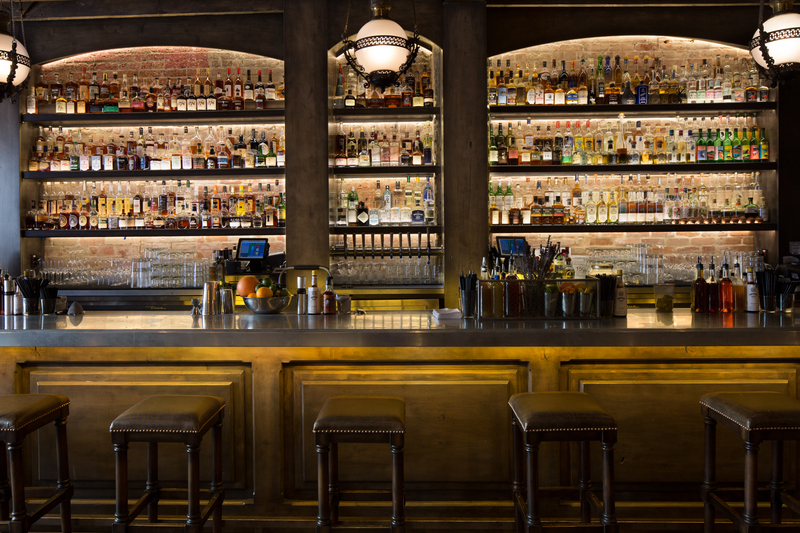 Once past the doorman, you might notice a stuffed dusty crow mascot perched in the rafters, but what should catch your eye is the whiskey selection: 100-plus whiskeys and 60-plus small-batch bourbons on display behind a horseshoe-shaped bar. 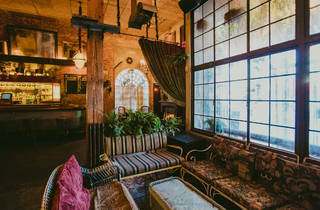 The only other view is brick walls through paned glass windows, while dim lights under sconces round out the room to give the bar a sinister glow—but you’ll likely be bothered for a smoke rather than a duel. Choose from more than 50 varieties of whiskey at this Irish pub that mirrors a loud sports bar, thanks to the many buzzing TVs overhead. Pair your flights of whiskey or beer with comfort bar food such as the guilt-inducing Irish Nachos, made with crispy potato slices instead of tortilla chips. 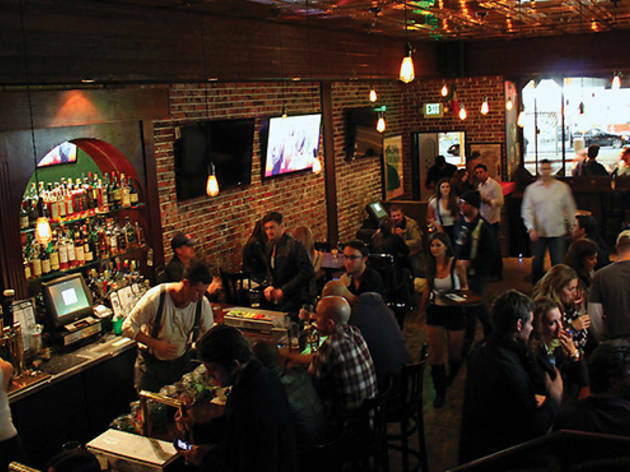 On weekends, expect to rub shoulders with local hipsters cramming into the bars, upstairs lounges or back patios, no matter your location: Downtown, USC, LAX and West Hollywood’s Sunset Strip. Sure, the burgers are legendary and the fried chicken addictive, but the drinks at this “kitchen + bar” are reason enough to visit. Originally designed by wünderkid and mixologist-around-town Julian Cox, the drinks are as tasty as they are original—a mix of chai-infused tequila, cream, orgeat, allspice dram and bitters is sure to tickle the tastebuds of even the most jaded of cocktail nerds, and so is the impressive menu of Japanese whiskeys from Nikka Miyagikyo 15-year to Suntory Yamazaki 18-year. Looking for more great drinks?